Hello Radiant Orchid! 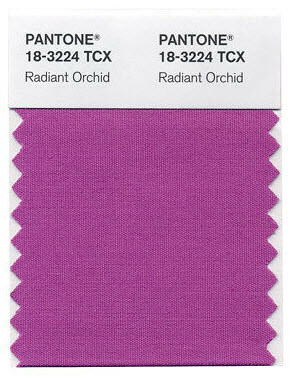 Pantone has declared radiant orchid to be the color of 2014. With undertones of pink and fuchsia, I am already falling for this gorgeous color. Based on past years (you can find past colors here at the bottom), you can expect to see this soft purple hue to be in everything from clothing to beauty to even interior design come the new year. I can’t wait to see all the inspiration and interpretations of this color! Have a great weekend!